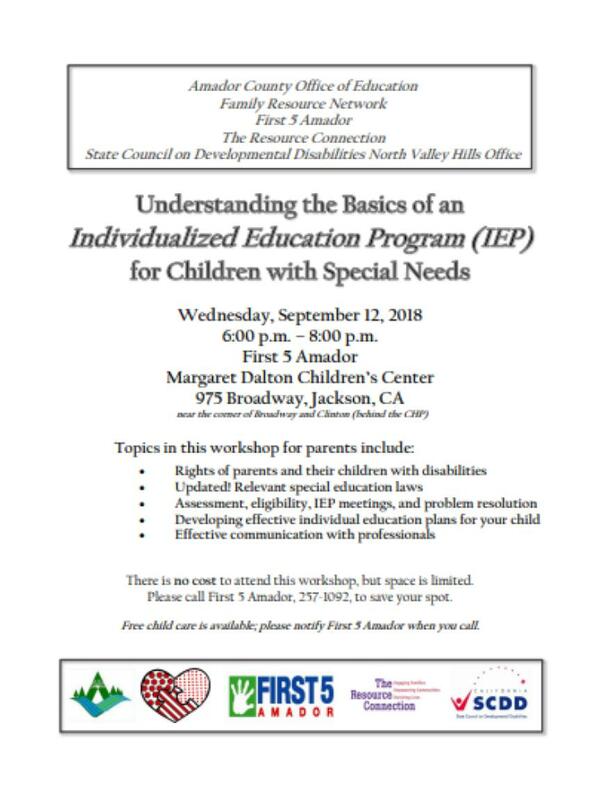 Topics in this annual workshop for parents include: rights of parents and their children with disabilities, updated and relevant special education laws, assessment, eligibility, IEP meetings and problem resolution, along with how to develop an effective IEP for your child. Free child care provided. Please RSVP, at 257-1092.